Betterment and Wealthfront - Is there a UK equivalent? 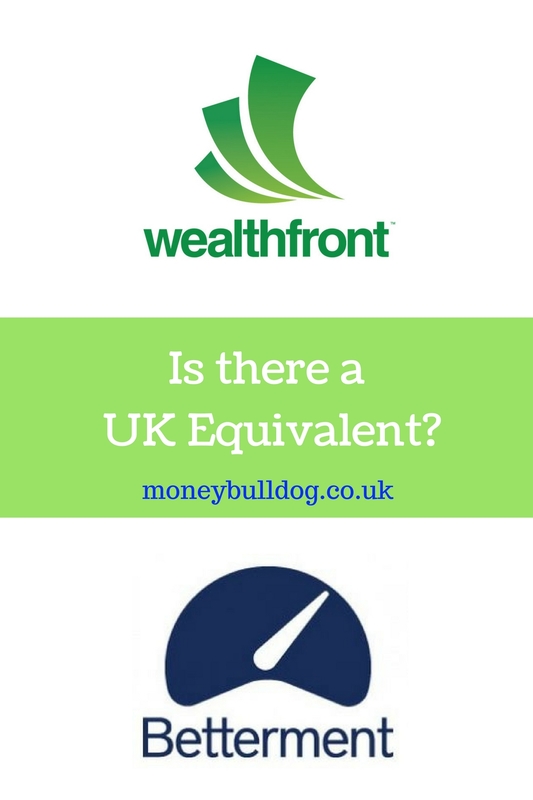 Betterment and Wealthfront – Is there a UK equivalent? If you spend a lot of time following the financial markets or you’ve been researching ways to start investing, then you may well have come across names such as Betterment and Wealthfront. These two investment companies have become huge in the US and they are known as robo-advisors. If you have tried to invest your cash with one of these companies however and you live in the UK, you may also have realised that these companies don’t actually allow UK investments at this time, something which I imagine would have disappointed you. If this has been your experience then try not to despair too much, as I have some good news for you in that there are actually robo-advisors in the UK who work in pretty much the same way as Betterment and Wealthfront, in that they allow you to take a hands-off approach to investing in the stock market while at the same time offering low management fees based upon your own personal risk profile. There are a couple of different robo-advisors in the UK right now but perhaps the most well-known is a company called Nutmeg*. Nutmeg* is an online investment management company based in London. The company was founded in April 2011 and is registered in the UK as Nutmeg Saving and Investment Limited. Nutmeg offers a discretionary online investment approach, meaning that it makes investment decisions on behalf of its customers based on the investment preferences of the investor, including their attitude to risk. To keep investment fees low, the company mostly invests via ETFs or Exchange Traded Funds, though there may be occasions where they utilise other investments. Discretionary also means that you cannot make your own trades via the Nutmeg platform, instead they make the investments for you. If you want to make your own trades then you would be better off opening a standard share dealing account like the Vantage Fund and Share Account. Is a Robo-Advisor right for me? If you harbour dreams of picking one of these rare stocks that skyrockets over the period of just a few years making you rich beyond your wildest dreams, then a robo-advisor probably won’t be the best option for you, as they are deliberately structured in a way that will provide steady growth while taking into account your own attitude to risk. If you are looking to invest in the stock market to get a greater return on your cash than you might if you simply left it in a cash ISA, however, then a robo-advisor like Nutmeg might well be for you, though it should be mentioned that the value of any investment can go up as well as down, meaning your initial capital investment may be at risk. So, there we have it, you now know that there is a UK alternative to US robo-advisors such as Betterment and Wealthfront in Nutmeg*. Whether a robo-advisor is right for you or not is your decision to make, but at least you now know that you have the option available to you as a UK resident. The Rise of the Virtual Advisor – Which one Would You Choose?